During the Pacific War, the United States defended against, and made an offence towards Japan through three different roads, which were paved by the United States Navy construction battalions, also known as the Seabees. The first road was through the North Pacific – through Alaska and the Aleutian Island. After World War I, a naval disarmament treaty was signed between the U.S, Great Britain, France, Italy, and Japan, which Japan’s naval-arms was reduced to 20 percent relative to the U.S under the condition which the U.S agreed to demilitarize Alaska. However, this agreement was broken in September 1939 when the U.S saw Japan’s conquest of Nanking and Hitler’s violation of the Munich Pact. Re-militarization began with the building of additional air and submarine bases, army posts, and Quonset Huts. 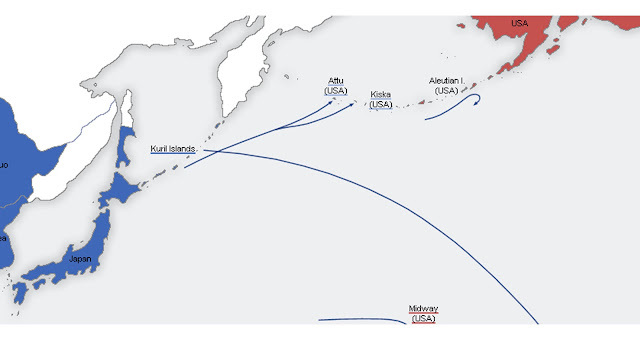 In 1942, Japan attacked the Aleutian chain and captured the Attu and Kiska Islands as a method to prevent the U.S from invading Japanese mainland through the Aleutian and Kurile Islands. The first of Seabees were sent to Alaska to forestall what appeared at the time to be a major Japanese offense. 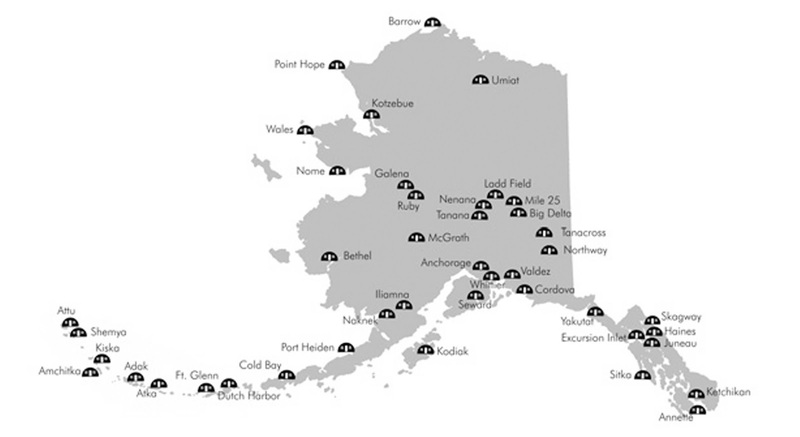 The Seabees landed in Alaska in in late June of that year, and began building bases on Adak, Amchitka, and other islands in the Aleutian chain which were used to stage the joint Army-Navy task force that recaptured Attu and Kiska on May 11, 1943 and August 15, 1943 respectively. The line of bases erected by the Seabees pointed towards the Japanese mainland served as a threat from the North in addition to the offence in the South and Southwest from the Americans. During this period, the Seabees constructed more than 30 000 Quonset Huts because they were financially and functionally efficient. Conventional temporary tents which prevailed before the creation of the Quonset hut would not have been appropriate for the wind, precipitation and temperature of Alaska, and wood frame structures on cement foundations were too costly for mass production.